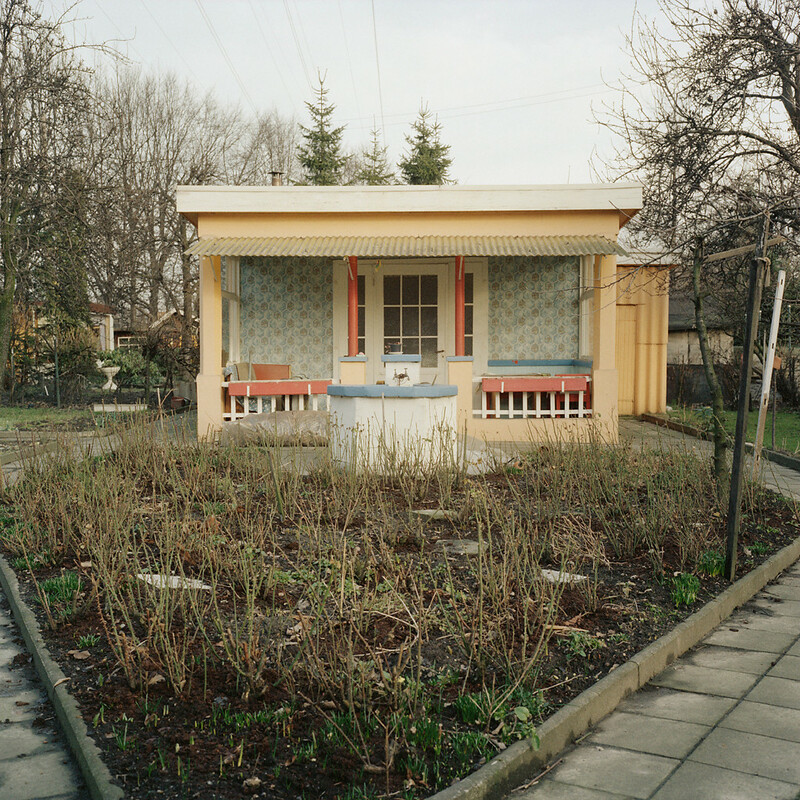 "They are strange hybrid buildings, between tool sheds and dachas, gingerbread houses and orangeries. 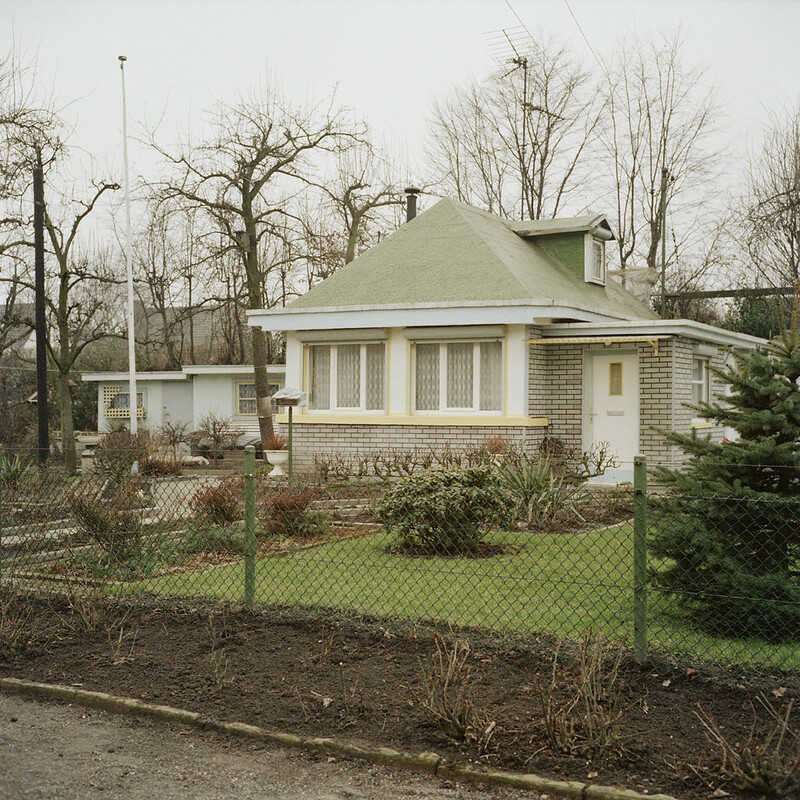 If some buildings have been preserved in aspic, others have been gradually altered for their owners’ pleasure. 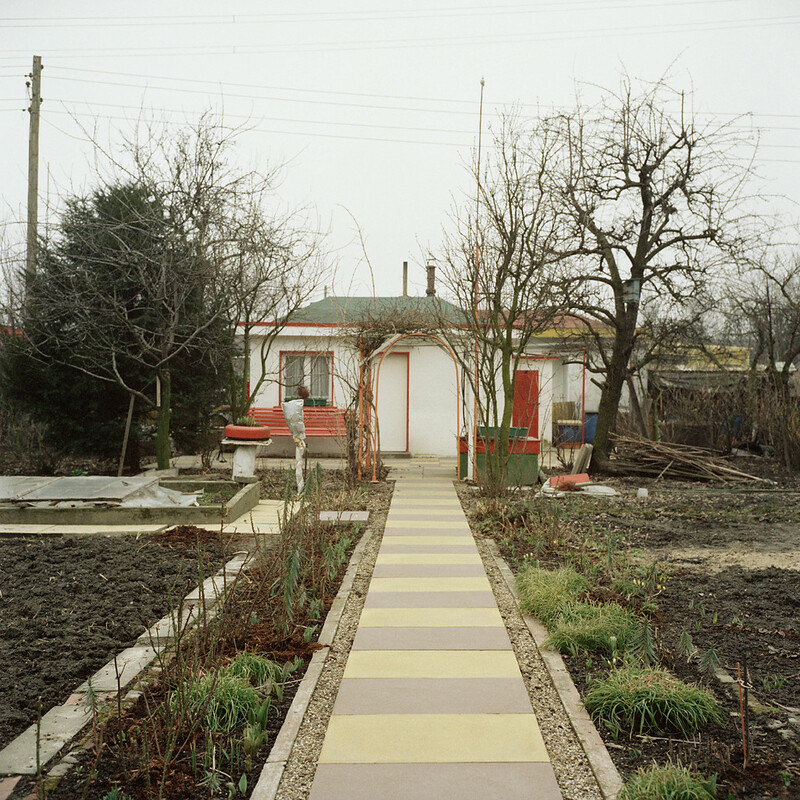 Hardly any of these hobby gardeners will ever take a step back and ask themselves if what they built turned out just as they had once intended. 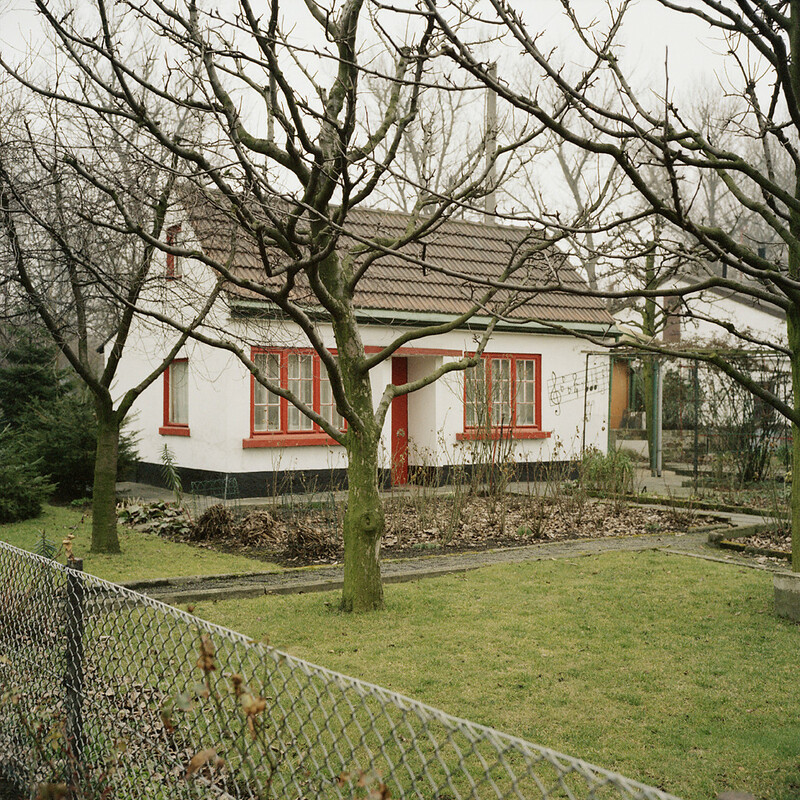 Or how their spouse had intended it. 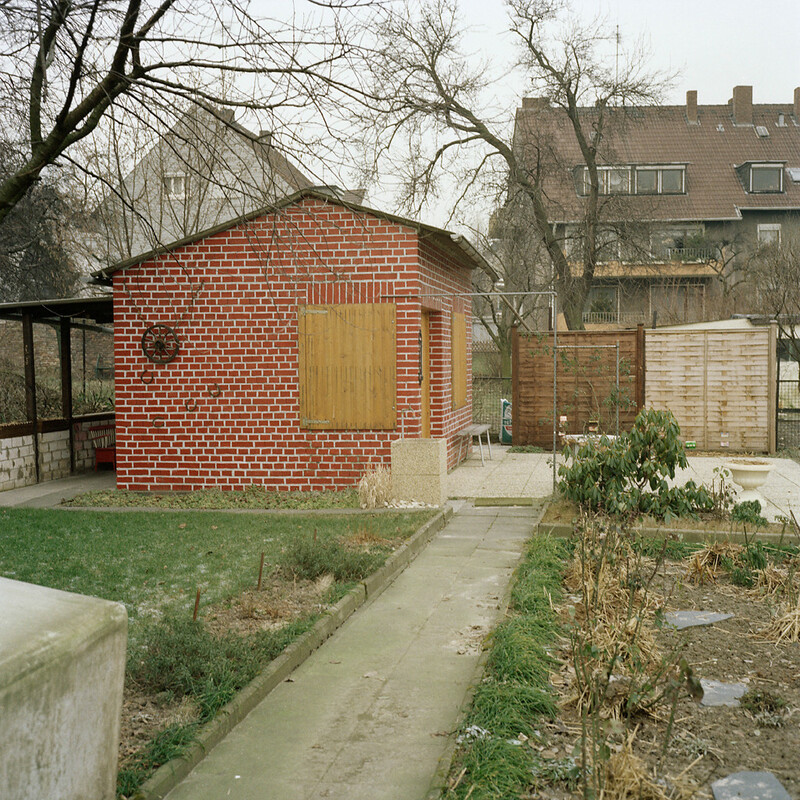 Sometimes a couple needs to hammer out compromises. 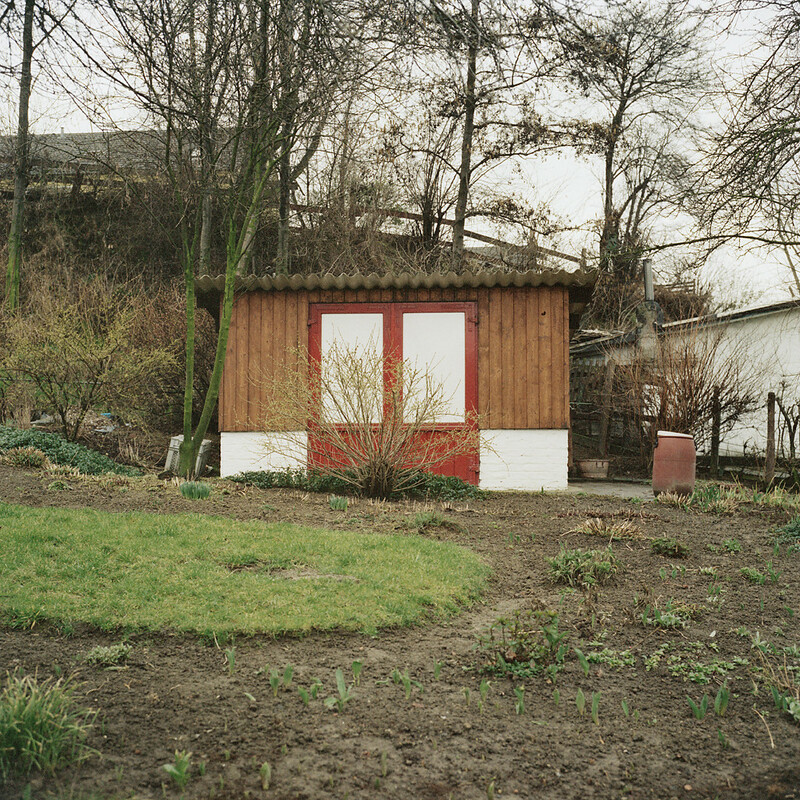 And now they are there and waiting out the winter. 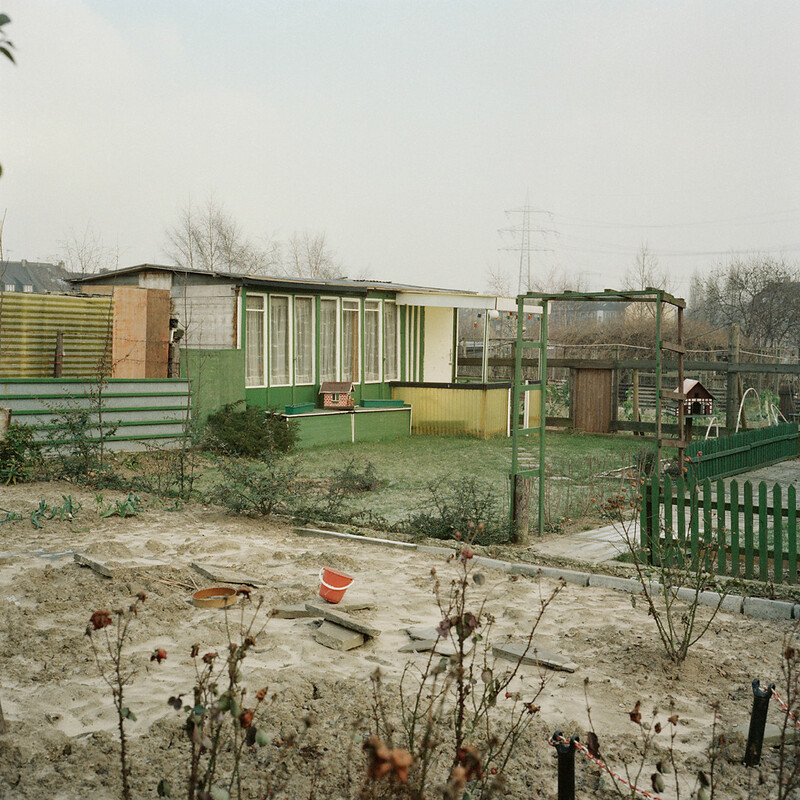 The viewer can’t help staring, lurching from one emotion to another, holding back from snarky comments, and taking another look, shivers at the sight of details not noticed at first glance." 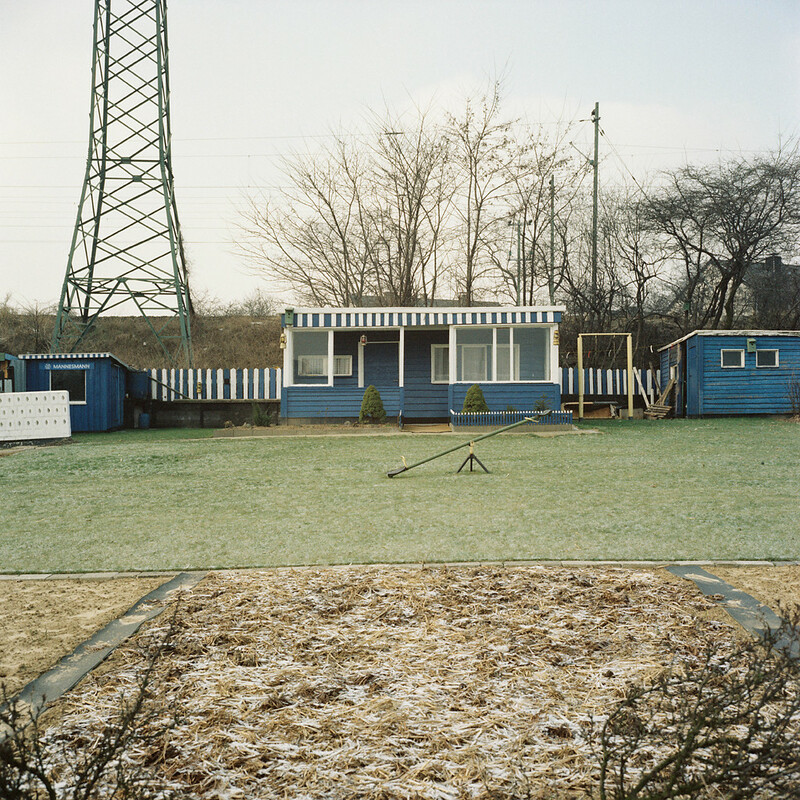 Ulf Erdmann Ziegler, in: You have to be patient. 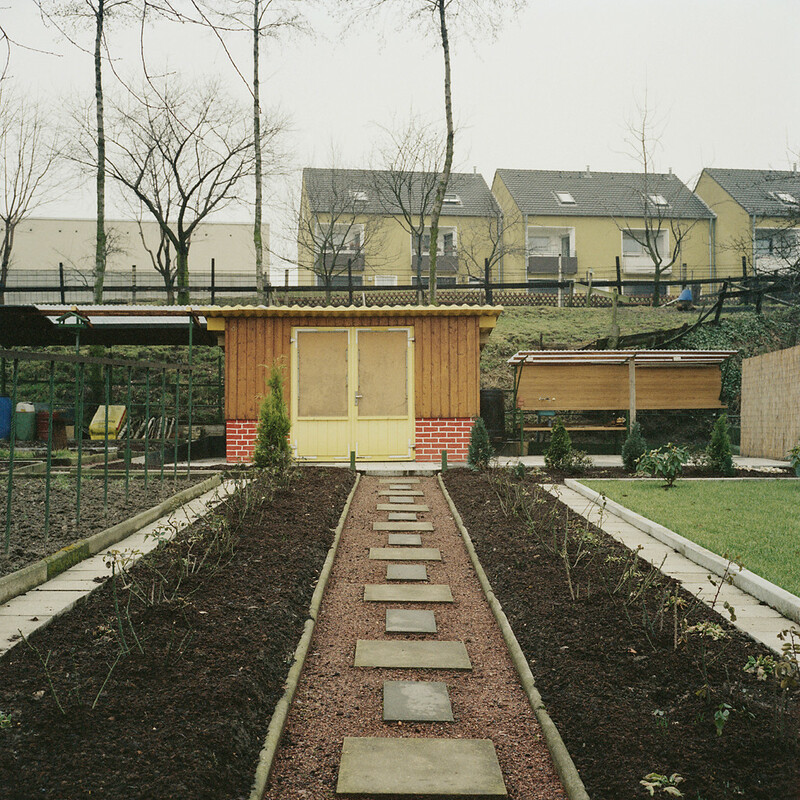 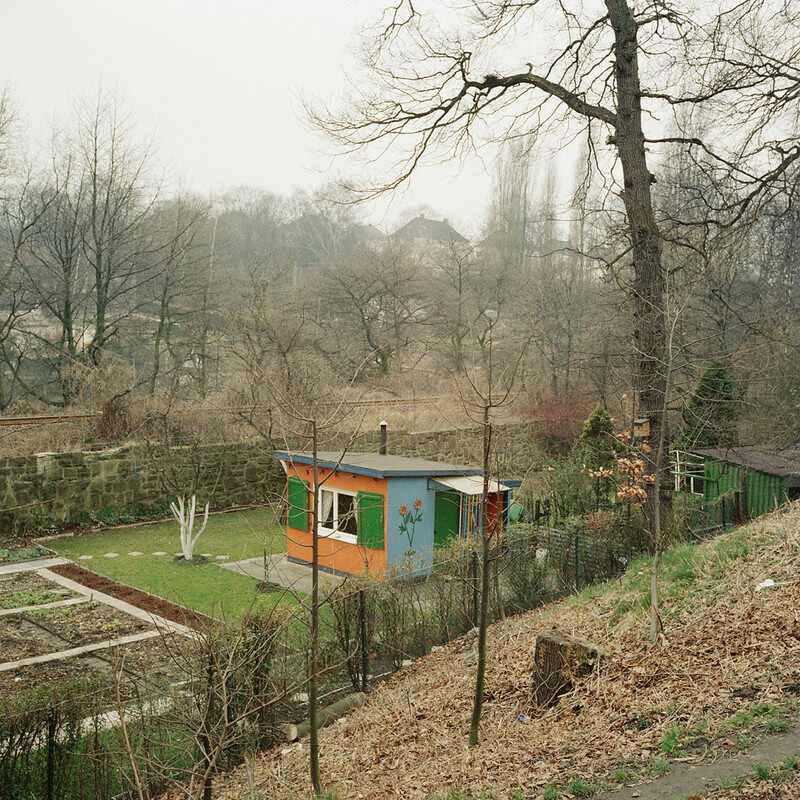 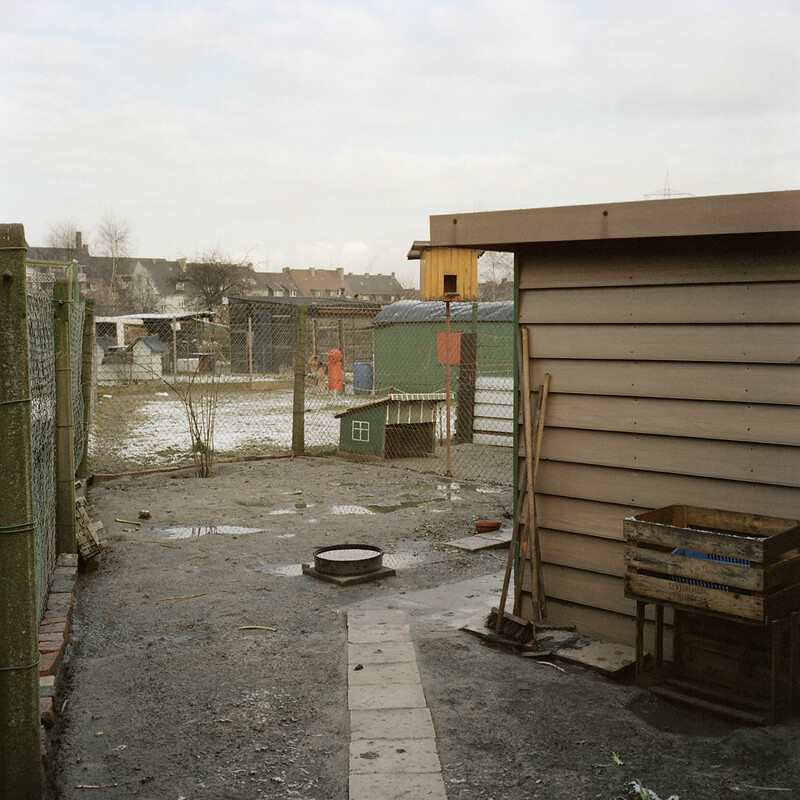 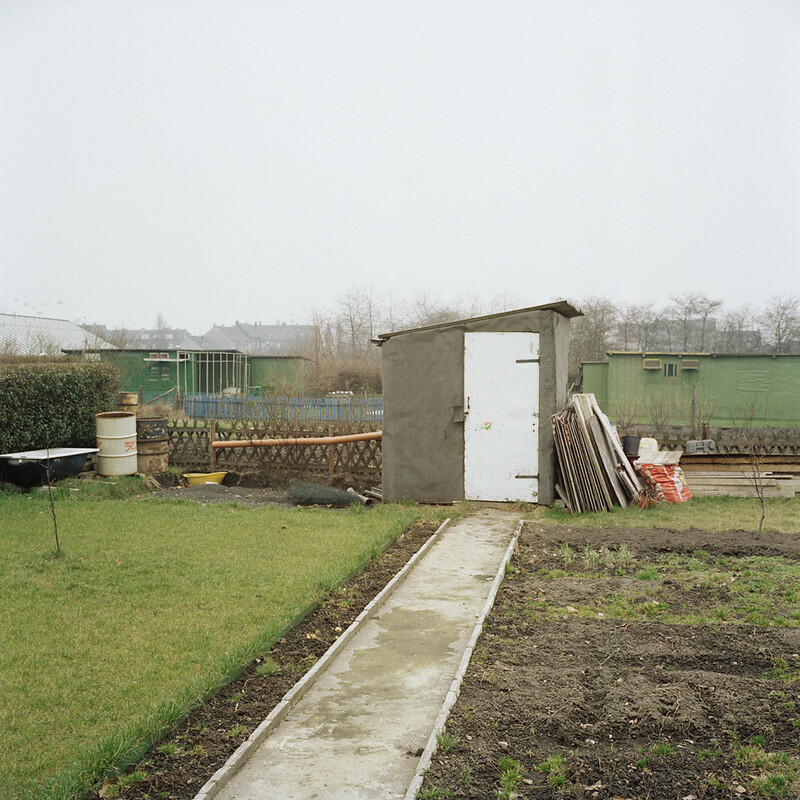 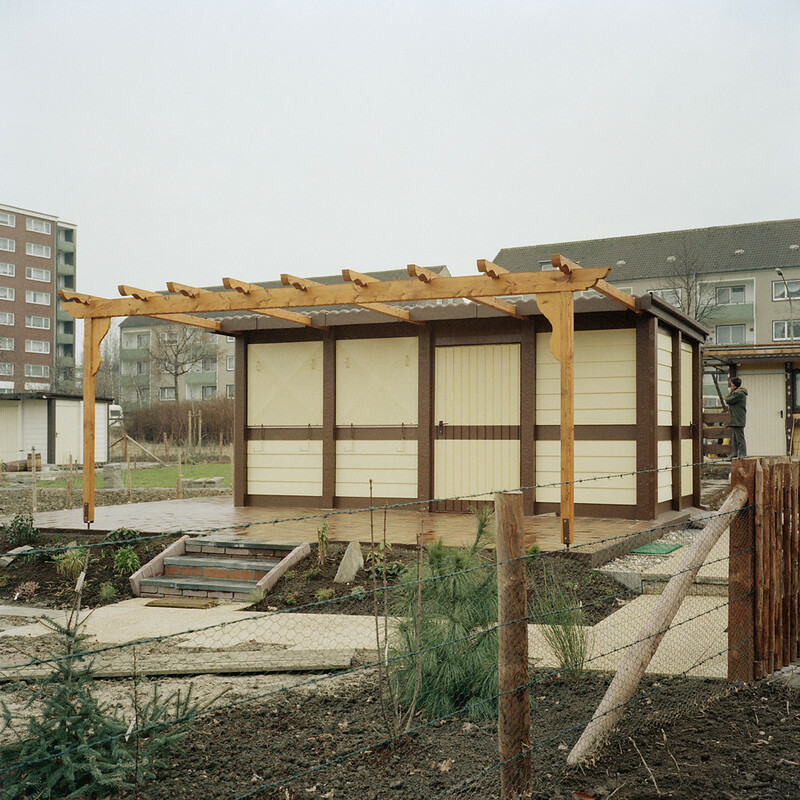 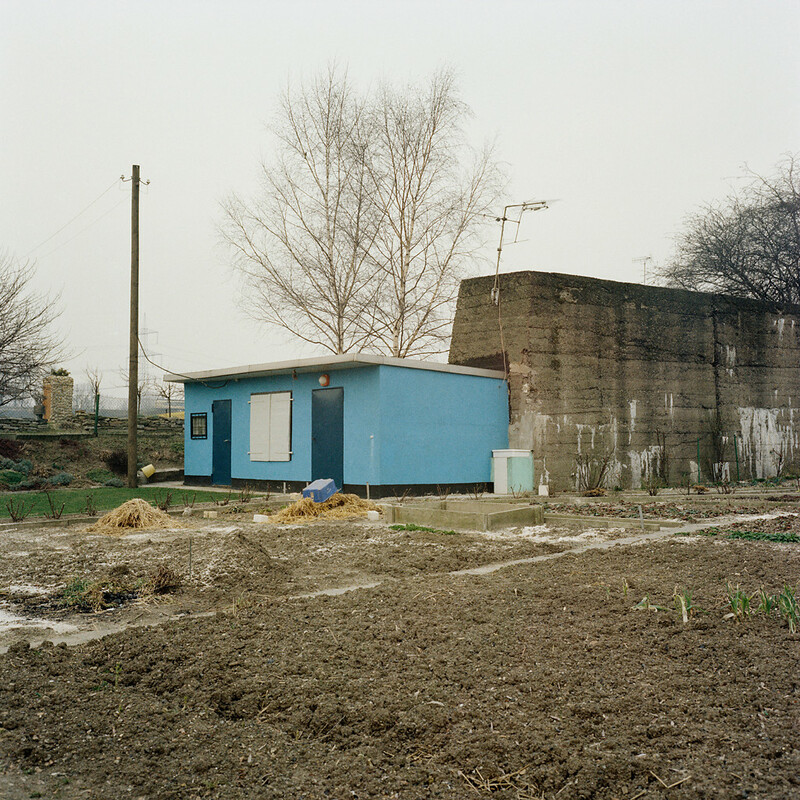 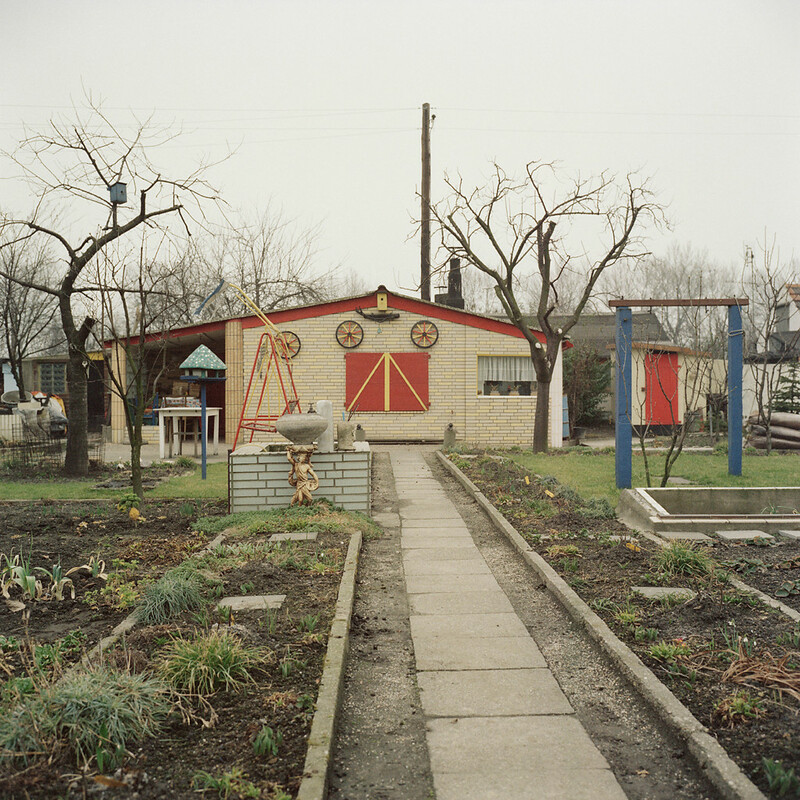 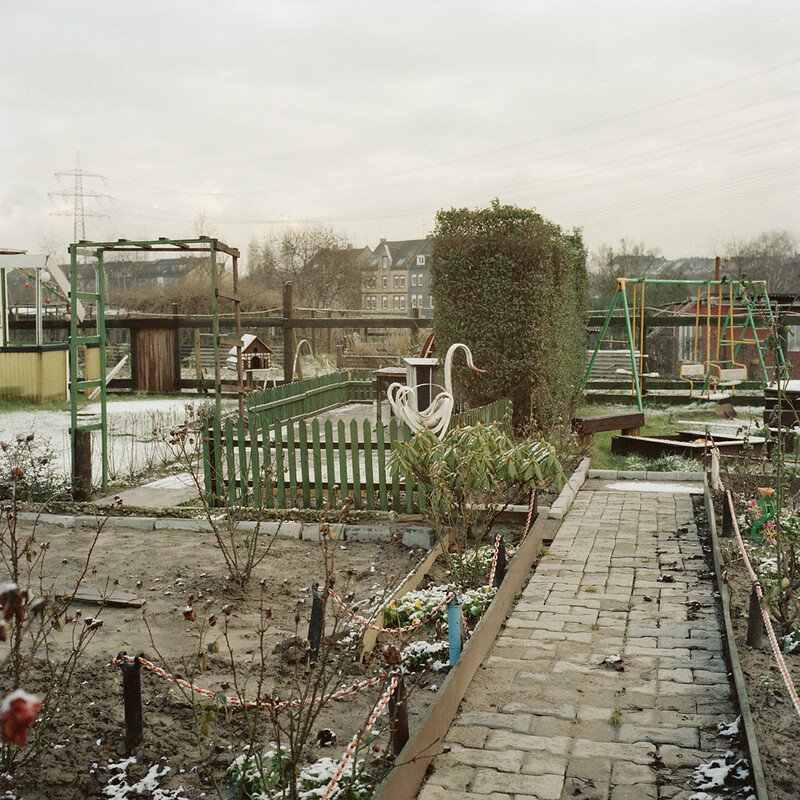 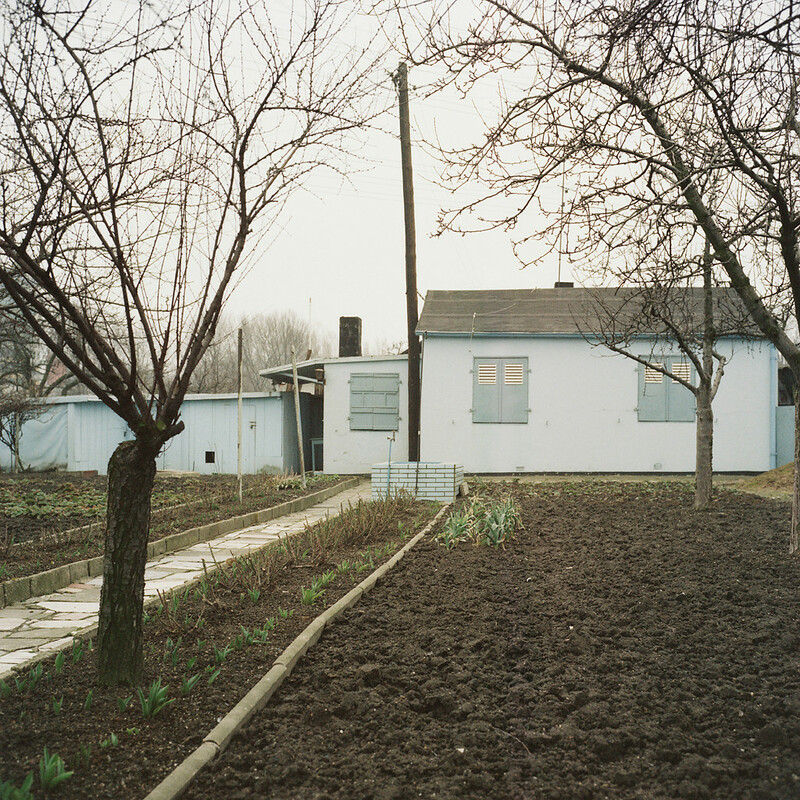 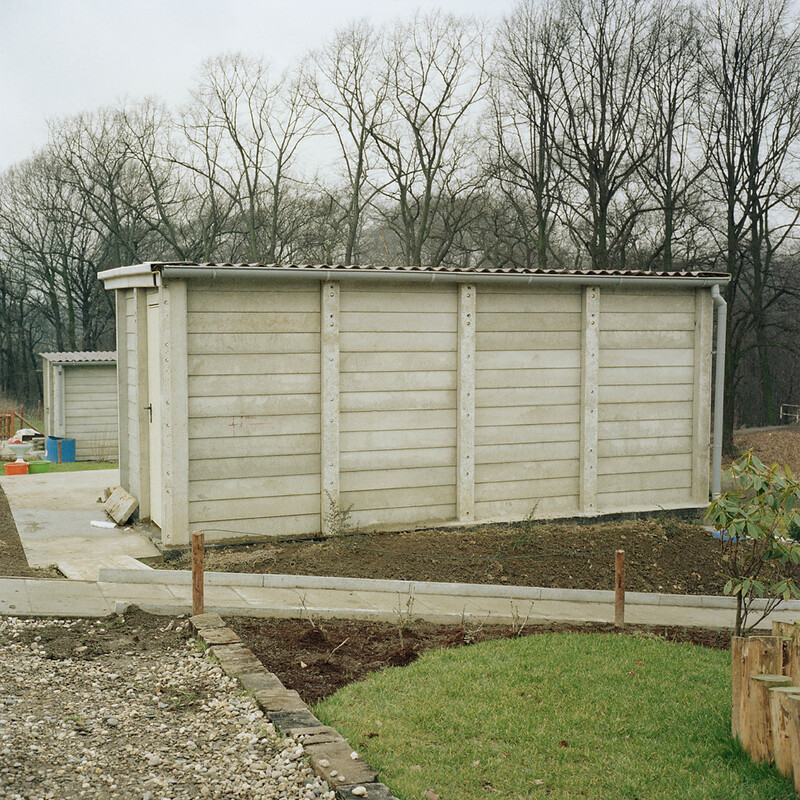 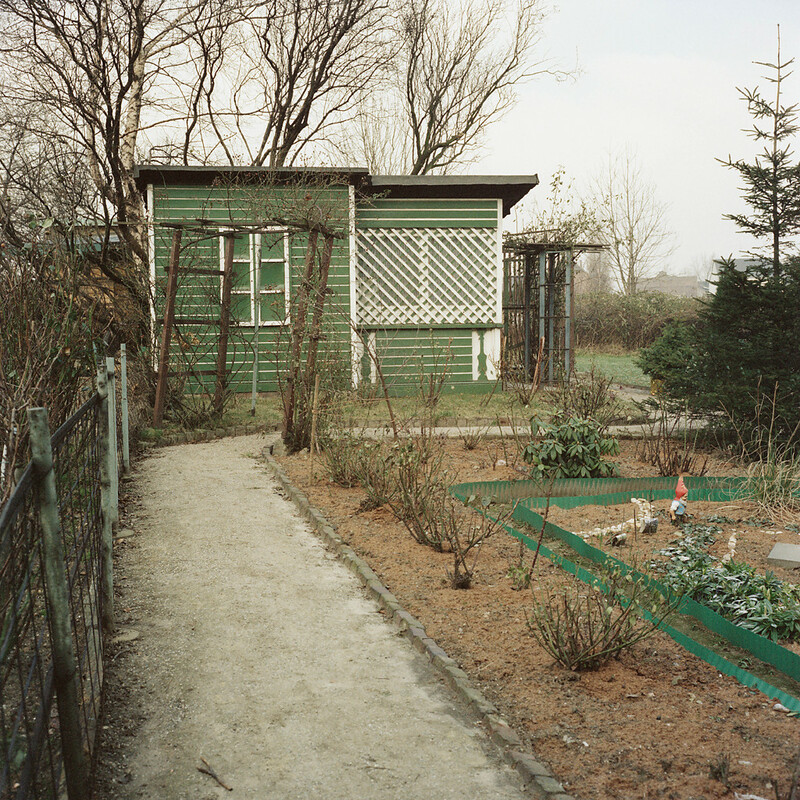 On Joachim Brohm’s early typology of allotment gardens. 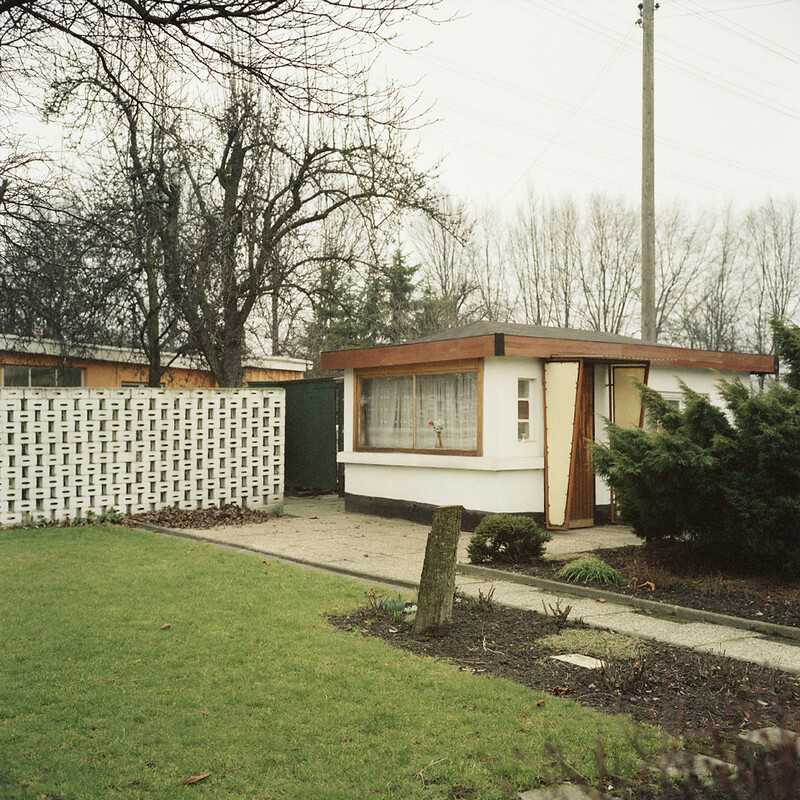 Published in Joachim Brohm: Typology 1979; London 2014.